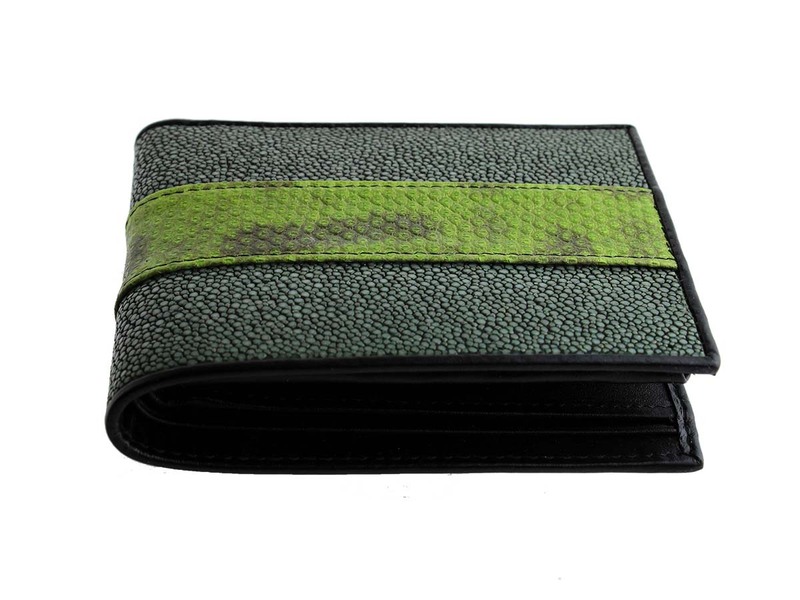 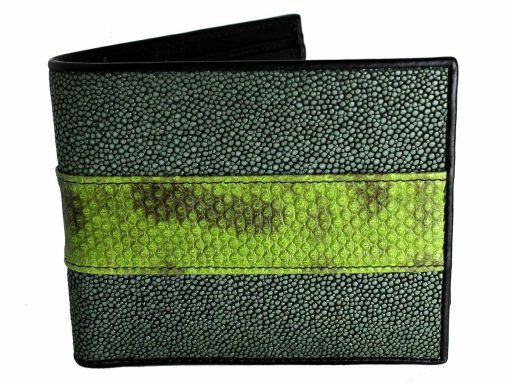 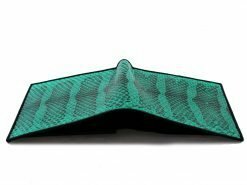 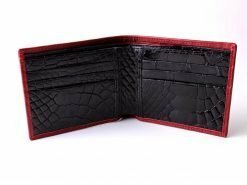 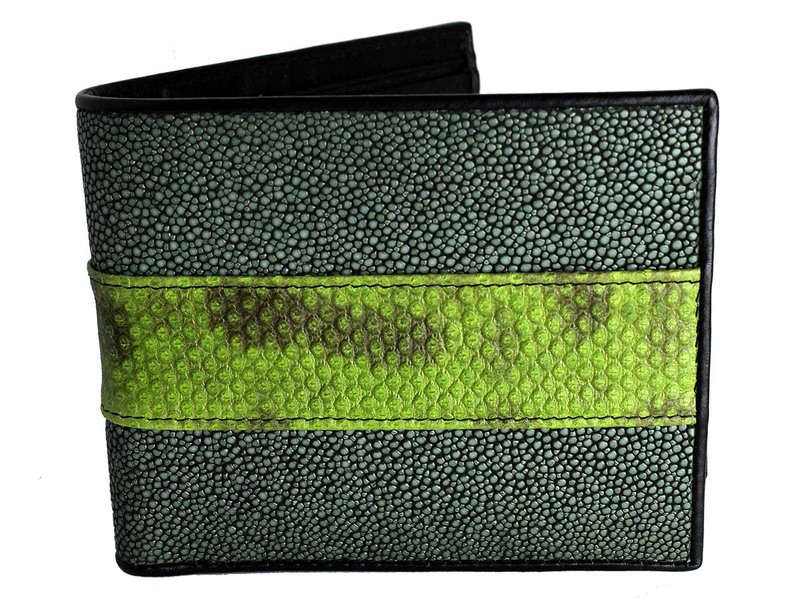 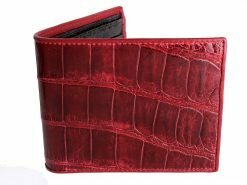 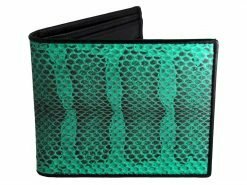 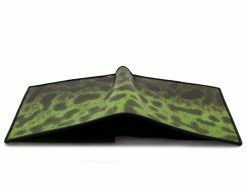 Our “signature series” handmade wallet range has a reputation for varied and imaginative combination snake wallets but we think we may have just out done ourselves with these funky wallets for guys. 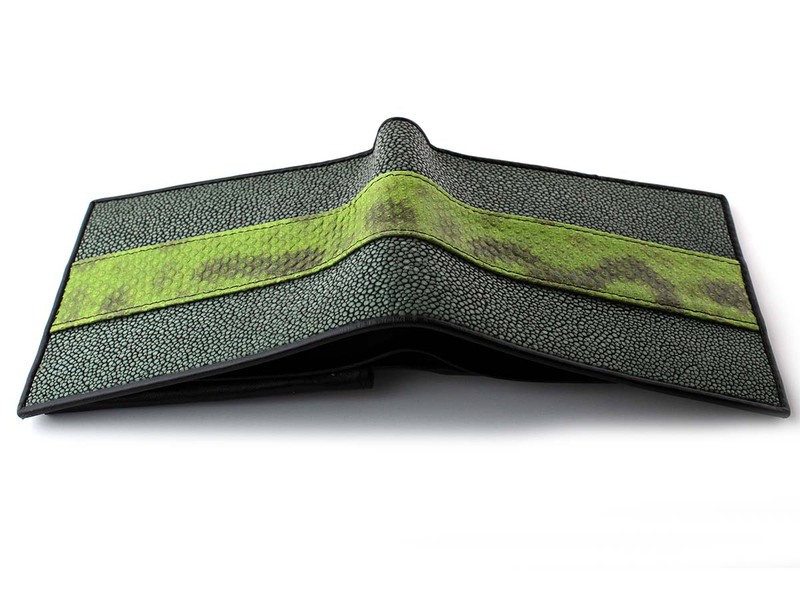 A single band Karung snake enclosed between sleek bands ofl stingray, results in a wallet that looks and feels fantastic. 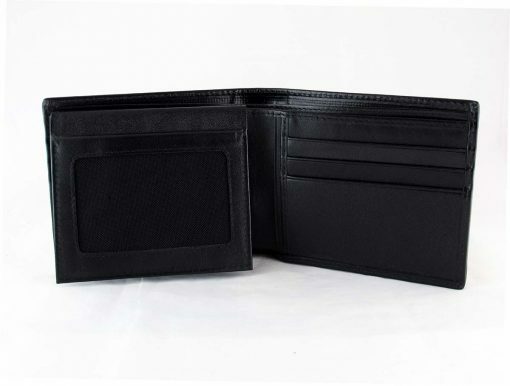 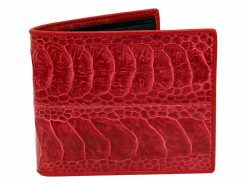 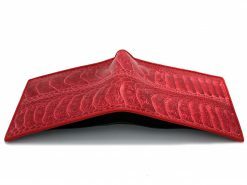 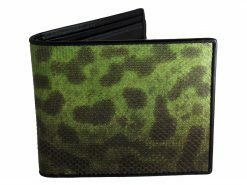 A wallet for a confident guy who knows what he likes and likes to keep the world guessing.